Decorative American Pottery & Whiteware: Identification & Value Guide. American pottery is one of the fastest growing categories of the collecting world. 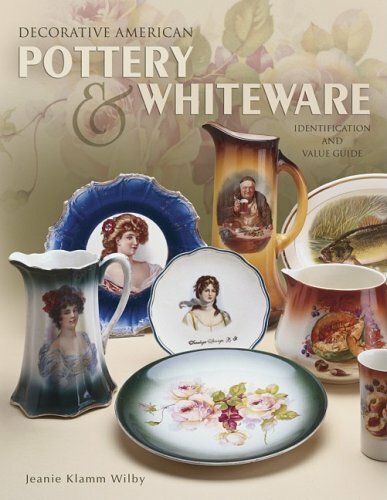 This beautifully illustrated guide to collecting decorative American pottery and whiteware features more than 600 examples of gorgeous decorative wares produced around the turn of the century and identifies over 60 American potteries. In addition to current collector values, author Jeanie Klamm Wilby gives tips on how to begin a collection and clean stained china. This book will appeal to the novice as well as the experienced collector and is sure to become an invaluable resource for years to come. 2004 values.